The sales executive was extremely professional, polite, courteous and very patient. It was a pleasure to deal with him and it made the whole buying experience very pleasant. He was always ready to answer any questions we had. 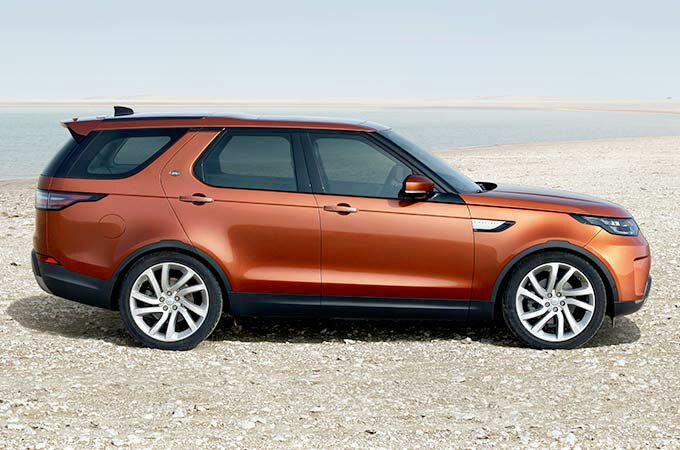 Overall it has been an excellent experience and I would whole heartedly recommend Leeds Land Rover to my contacts. 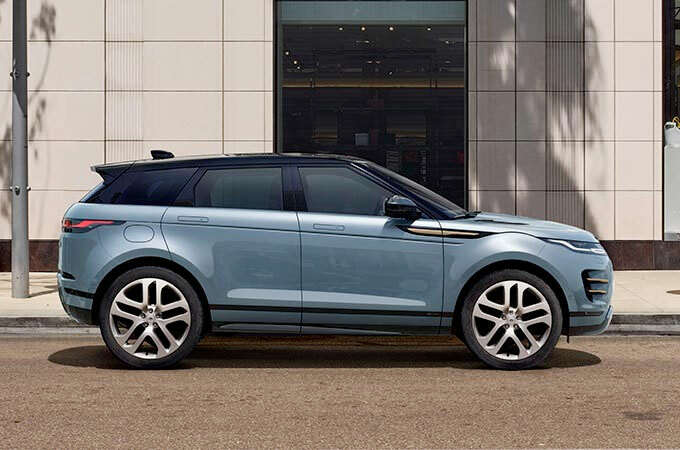 "Farnell Land Rover Nelson are delighted to present this fantastic 2018 Range Rover Velar D300 First Edition Automatic Diesel in Corris Grey with Light Oyster and Ebony leather interior. Designed with both luxury and versatility in mind for you and your passengers. Highlighted features include 22'' Diamond Turned Alloy Wheels, Matrix LED Headlights, Heated Steering Wheel, Heads-up Display, Meridian Signature Surround Sound System, Heated and Cooled Massage Front Seats with Heated Rear, Also as a Land Rover Approved vehicle you will also receive a minimum 2 years Approved Warranty, which includes European Roadside Assistance, a comprehensive 165 point inspection and a complimentary Land Rover Experience Voucher. Want to see more? Call our sales team now on 0330 0960611 for a personalised video, a full specification list, and details of our competitive finance options." "Jaguar I-PACE is a Jaguar above all else - a true driver�s car. Its electric motors and near perfect weight distribution deliver 696Nm of instant torque and sports car agility. Featuring an elegant, highly aerodynamic design with a low drag coefficient of 0.29Cd, Jaguar I‑,,PACE has been created to provide efficiency by slicing cleanly through the air for maximum range and stability. Jaguar I‑,,PACE offers excitement from every angle thanks to its flowing waistline, dramatic bonnet scoop and signature rear haunches.Jaguar I‑,,PACE seamlessly integrates technology and abundant space. The interior design is clean and uncluttered, with tactile features and sweeping lines. The nature of the electric powertrain offers additional space, providing more freedom to maximise the comfort provided by Jaguar I‑,,PACE�s interior.Jaguar I‑,,PACE�s Touch Pro Duo infotainment system makes it simple to control all the car�s technologies. 4G Wi-Fi capability is standard and a host of connectivity features mean it�s easy to keep in touch with your digital world." "Farnell Land Rover Nelson, are excited to present this 2017 Land Rover Discovery HSE 3.0 TDV6 8 Speed Automatic in Fiji White with full Ebony Leather interior. Designed with both luxury and versatility in mind for you and your passengers. Highlighted features include, Automatic Wipers, Electric Recline Rear Seats, Electrically Adjustable Third Row Seats, Electric Tilt and Reach Steering Column, Keyless Entry, Gesture Tail Gate, Traffic Sign Recognition and Adaptive Speed, Driver Condition Monitor, Rear View Camera and Front and Rear Parking Aid, 2 Zone Climate Control, 16-way Electric Memory Front Seats, Meridian Surround Sound System, Heated Front and Rear Seats, Fixed Front and Rear Panoramic Roof, Privacy Glass, 2 x USB Sockets, Blind Spot Monitor and Reverse Detection, 10.2�� Hi Resolution Touch Screen, Veneer Natural Shadow Oak, And, as a Land Rover Approved vehicle you will also receive a minimum 2 years Approved Warranty, which includes European Roadside Assistance, a comprehensive 165 point inspection and a complimentary Land Rover Experience Voucher. Want to see more? Call our sales team now for a personalised video, a full specification list, and details of our competitive finance options." "Farnell Land Rover Bradford are pleased to offer this stunning Range Rover Sport 3.0 SDV6 HSE in Byron Blue Metallic with Ivory leather seats.This Sport comes equipped with 20" Thong Silver Alloy Wheels, Privacy Glass, Sliding Panoramic Sunroof, Meridian Sound System, HDD Card Colour Satellite Navigation, Keyless Entry, Electric 12 Way Front Seat Adjustment with Memory, Heated Front and Rear Seats, Voice Activation,Pro Services and WiFi Hotspot, DAB Radio, Bluetooth Connectivity, Heated Windscreen, Front Fog Lamps, Matrix LED Headlamps with LED Signature DRL, Automatic Headlights, Cruise Control, Front and Rear Parking Aid with Rear View Camera, Lane Departure Warning and much more. This Manufacturer Approved Land Rover comes with 2 Year unlimited mileage Approved Warranty, 2 Year UK and European Roadside Assistance, MOT Test Warranty, 165 Multi-point Inspection and reconditioning by Land Rover Technicians using Genuine Parts, Road test by Land Rover Technicians, Independent mileage and history check, Professional, expert part exchange service, 30 day / 1,000 mile Conditional Vehicle Exchange Agreement, Complimentary half-day Land Rover Experience and Complimentary 7 day Land Rover Drive Away Insurance. Please contact the sales team at Farnell Bradford for further details." "We are pleased to present this stunning 16 Plate Range Rover Autobiography 4.4 SDV8. Finished in Fuji White with contrasting Ebony Leather Interior with Cirrus / Ebony instrument Panel. This immaculate Vehicle was originally upgraded with 22 inch Diamond Turned Turbine Alloy Wheels, Sliding Panoramic Sunroof, Black Contrast Roof, Rear Privacy Glass and Park Assist, Cooled and Heated Front and Rear Seats. 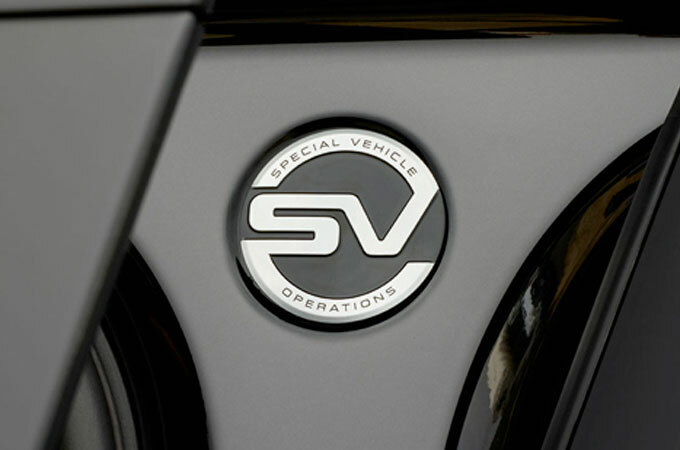 Standard Specification includes Dual View television with Digital Broadcasting, HDD Navigation System, Front and Rear Parking Sensors, Surround Camera System, Blind Spot Monitoring with Reverse Traffic Detection, WiFi Connectivity, Adaptive Cruise Control, Climate Control, Keyless Entry, DB Radio, Bluetooth with Audio Streaming, plus much more. Why not arrange a test drive today and take comfort in our Land Rover Approved Used Promise ensuring complete peace of mind at every step of your Land Rover journey including our 2 Year Approved Used Warranty, 2 Years Road Side Assistance, a Full 165 Multi Point Inspection and a Half Day Land Rover Experience. 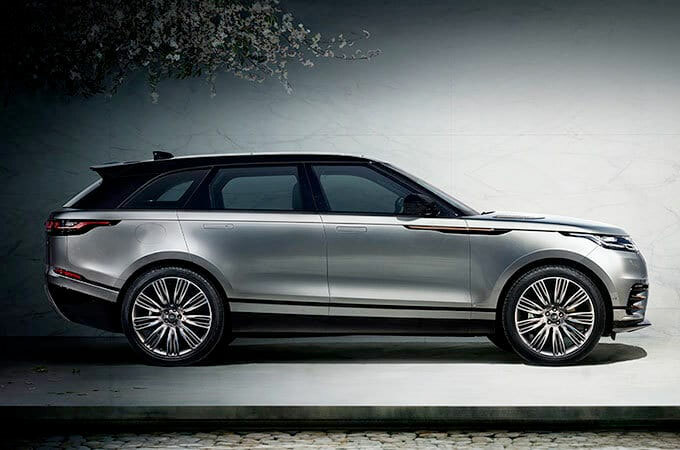 There has never been a better time to buy a Land Rover from Farnell Bolton. **PRIVATE / CHERISHED PLATE NOT INCLUDED**"
"We are pleased to offer this stunning Range Rover Velar 2.0 D240 R-Dynamic HSE Automatic finished in Firenze Red Metallic and Ebony Windsor Leather. This Ex-Demonstrator was originally registered with us in September 2018. Upgrades added include 20" Gloss Black Finish Alloy Wheels, R-Dynamic Black Pack, Rear Privacy glass and an Extended Leather Upgrade. Standard Features include Rear View Camera, Massage Cooled and Heated Front Seats, 20-Way Seats with Driver and Passenger Memory, Blind Spot Monitoring with Reverse Traffic Detection, Keyless Entry, Traffic Sign Recognition, Gesture Tailgate, Interactive Driver Display, Land Rover InControl Touch Pro Navigation System with InControl Apps including Pro Services and Wi-Fi Hotspot, Meridian Surround Sound System, plus much more. 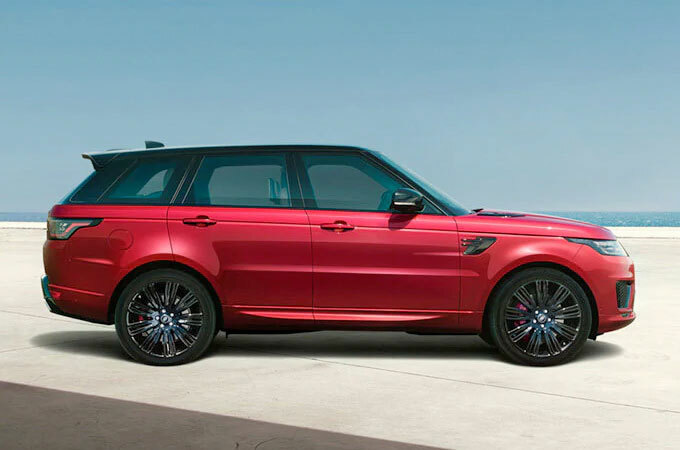 As a Land Rover Approved vehicle you will receive a minimum 2 Year Approved Warranty with European Roadside Assistance, peace of mind from the Land Rover Comprehensive 165 Multi Point inspection and a complimentary Land Rover Experience Voucher." "We are pleased to present this 68 Plate Land Rover Discovery HSE Luxury 2.0 SD4 (240hp). Finished in Corris Grey Metallic with Contrasting Glacier Leather Seat. This Ex-Demonstrator was originally registered with us in September 2018. Standard features include 7 Seats, 21 inch Alloy Wheels, Electric Seat configuration, 10.2 inch Touch Screen, Satellite Navigation, Rear Seat Entertainment with 8 inch Screens, Powered Gesture Tailgate, Blind Spot Monitor and Reverse Traffic Detection, Cooled and Heated Front Seats with Heated, Heated Steering Wheel, Cruise Control, Climate Control, DAB Radio, Surround Camera System, Heated Front Windscreen, DAB Radio, Keyless Entry, plus much more. 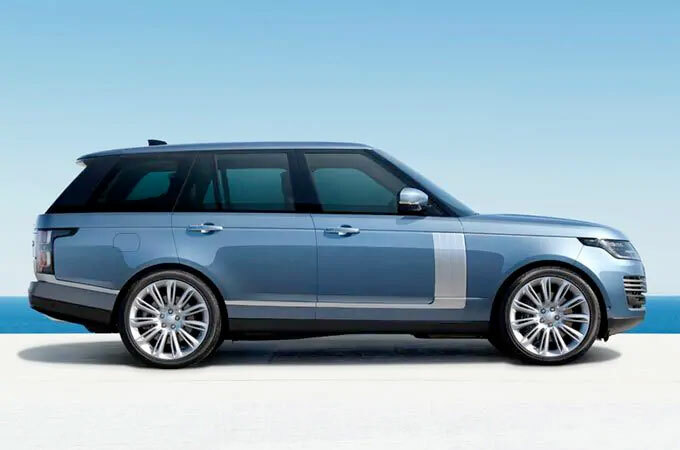 Why not arrange a test drive today and take comfort in our Land Rover Approved Used Promise ensuring complete peace of mind at every step of your Land Rover journey including our 2 Year Approved Used Warranty and a Half Day Land Rover Experience Voucher as part of the purchase. 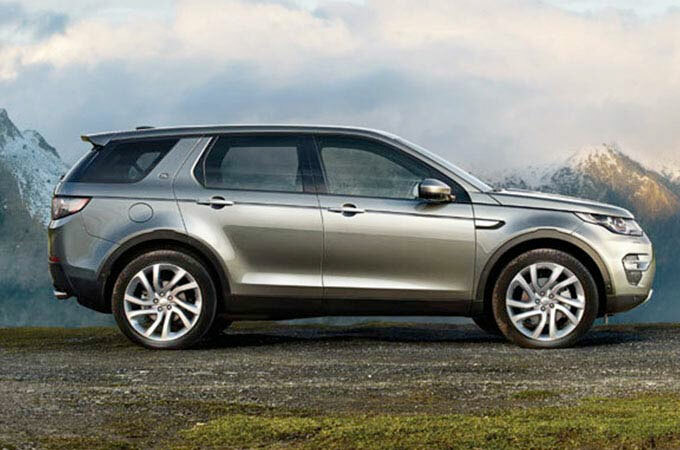 There has never been a better time to buy an Approved Used Vehicle from Farnell Land Rover."